Steroid creams are corticosteroids that are applied onto the skin, and sometimes used with other medications, i.e. antibiotics or antifungal creams. Many types of skin diseases are due to inflammation, and steroid creams work by reducing this inflammation. This is achieved by altering the proteins and skin immune cells involved. This will reduce the redness and severity of the skin disease. Application on the skin may cause it to develop redness due to visible blood vessels, thinning of the skin or it may be more prone to bacterial infection. Application around the eyes may cause cataract and glaucoma. Long-term usage may lead to hormonal imbalance, central obesity, increased blood pressure, increased blood sugar level and osteoporosis. 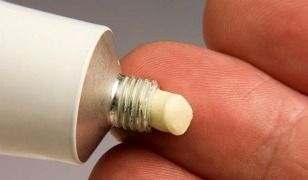 Weak steroid creams for areas with thin skin as absorption tends to be more i.e. face and folded areas like armpits and groins. Strong steroid creams for very thick skin lesions on areas with thick skin i.e. sole of the feet, and for a limited period of time. Lingzhi, also known as Ganoderma. If you want to buy Lingzhi, please email me at laifuiping@gmail.com. Click here to refer to Shuang Hor company website for Product Description and Price.